Some strange and lovely images from another find at my local library's used book table. 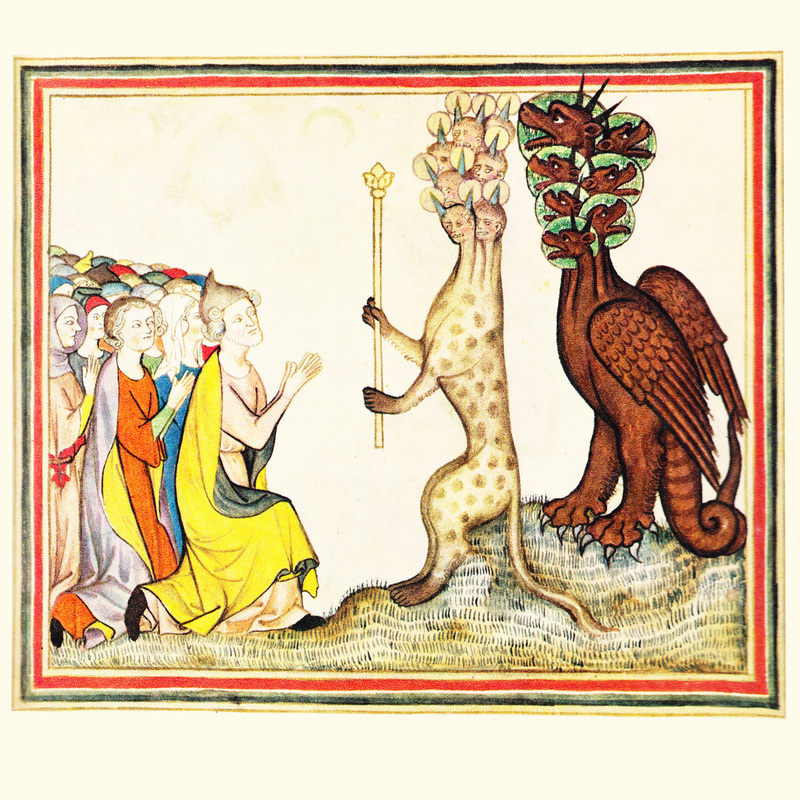 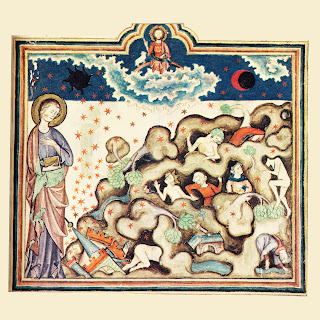 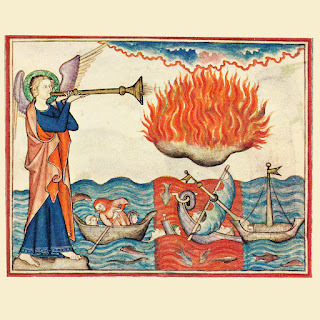 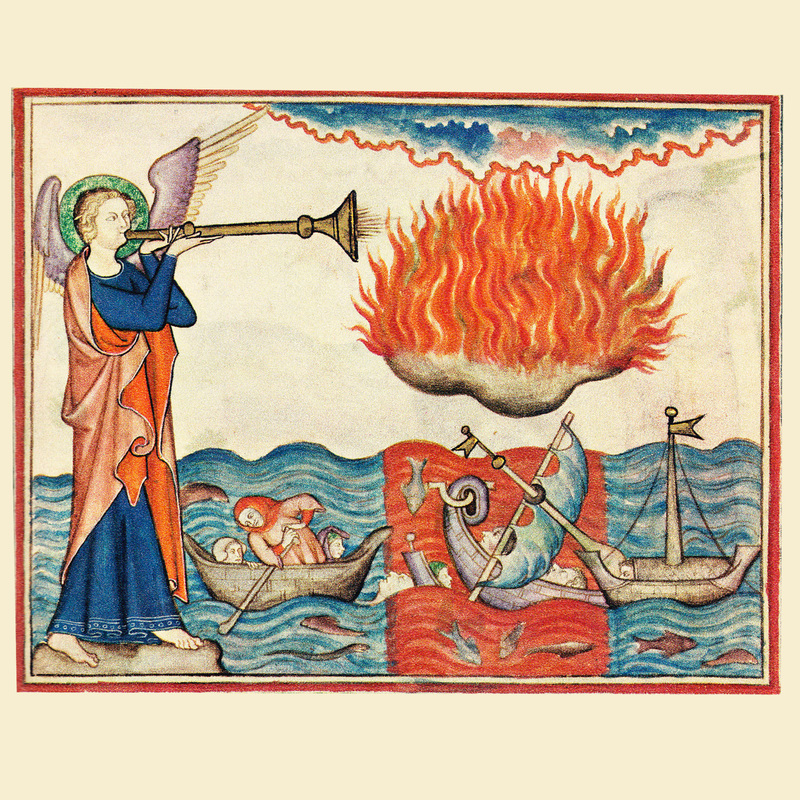 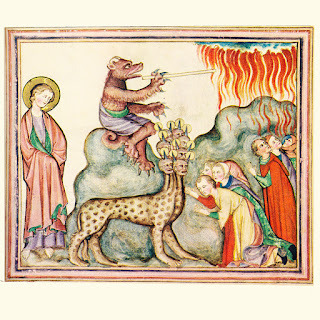 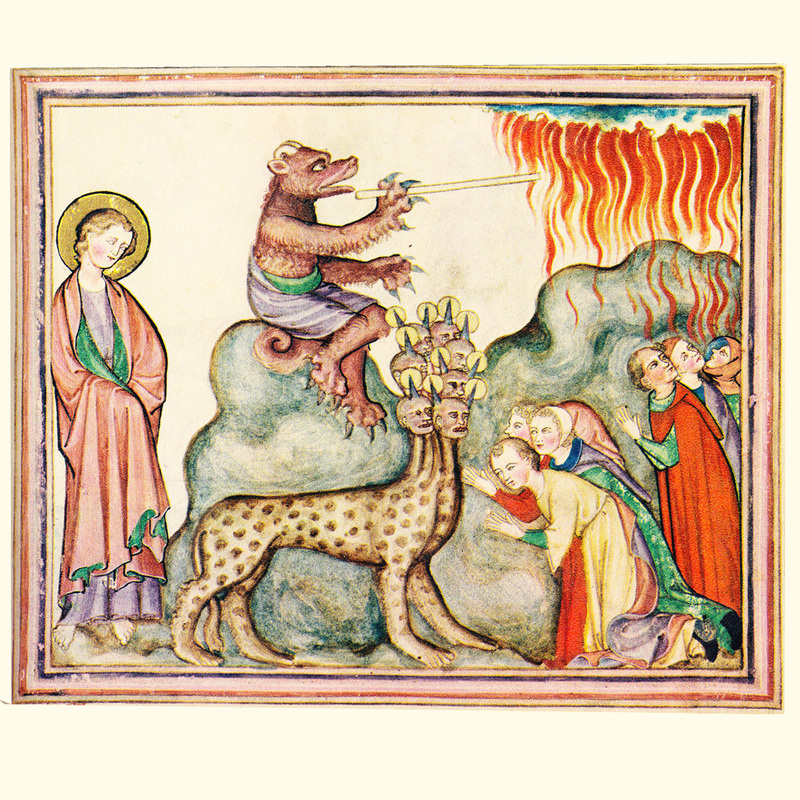 These pictures are from a two volume set called 'The Cloisters Apocalypse: An Early 14th Century Manuscript in Facsimile.' Volume I is the facsimile; Volume II is commentary on the enigmatic imagery.